They are rap’s first great duo, one that excelled as rappers and producers. They are among the most-sampled rap acts of all time, their tunes having been mined by Jay-Z, DMX, 2Pac and Tha Alkaholiks, among many others. They introduced funk-styled production to rap, paving the way for Dr. Dre’s The Chronic. And even though their own rap skill was immense, they are also the best talent scouts in rap history, introducing the likes of Redman, Das EFX and Keith Murray. Then they broke up and reunited to rave reviews. 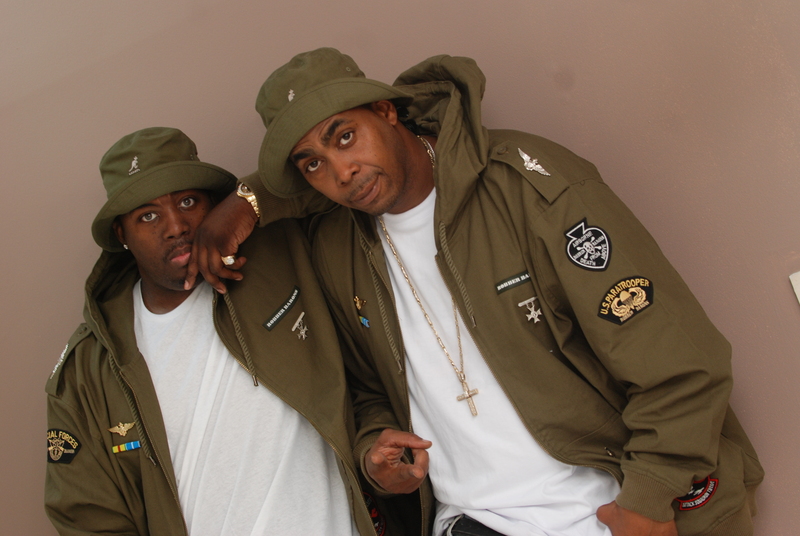 The group is EPMD, undisputed legends in the rap game. The Long Island, New York pair’s first five albums went gold — 1988’s Strictly Business, 1989’s Unfinished Business, 1990’s Business As Usual, 1992’s Business Never Personal, 1997’s Back In Business — thanks to Erick Sermon and Parish Smith’s tag-team rap style and groundbreaking production. 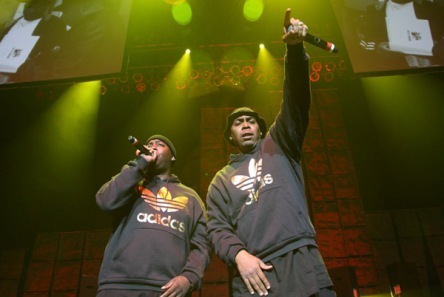 Now, after more than 20 years in the game, EPMD returns with WE MEAN BUSINESS, their first album on their own EP Records and their seventh overall. The new collection is a testament to their Business plan. Indeed, EPMD shows its music is as potent as ever on the latest installment of their infamous “Jane” series and on the confrontational “Run It,” which features fellow rap pioneer KRS-One. Even though EPMD hoped KRS-One would appear on one We Mean Business song, KRS-One was so impressed with EPMD’s output that he responded saying that he wanted to be on both songs. Unfortunately, life isn’t all good. So, EPMD turns an introspective eye to life on the reflective “Bac-Stabbers.” Here, Sermon and Smith detail how jealousy can derail relationships and how loyalty often evaporates when times are tough. It’s an eye-opening musical moment, one that is in line with other noteworthy EPMD singles. EPMD has been killing it since it dropped its “It’s My Thing” b/w “You’re A Customer” 12’’ single in 1987. Short for “Erick and Parish Making Dollars,” the Long Island duo made an immediate impact on the rap scene, even though one of its trademark characteristics was born out of necessity. Given Sermon’s lisp, he had to modify his rhyme style into a controlled, slow flow. Smith employed a similar style, and the pair’s commanding, assured vocals and innovative, mid-tempo production made them stand out in a rap field populated with high-energy vocalists and frenzied beats. 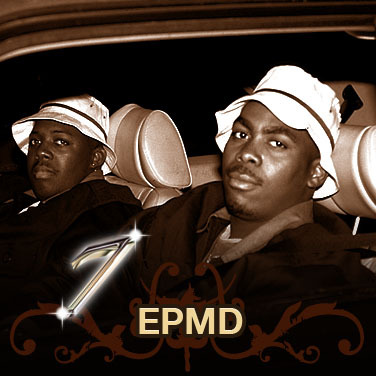 Another EPMD quality made them even more formidable. Sermon and Smith were a self-contained unit, rappers and producers who could conceive, create and produce their own material. Their creative brilliance was evident throughout Strictly Business, one of the most universally acclaimed albums in rap history. That’s because We Mean Business isn’t just an album title for EPMD. It’s a mindstate.